The Club Center model emphasizes creating a wholesome and attractive environment around a specific center where teens can be formed. The model requires the use of an actual center with a chapel, meeting rooms, playing fields, game rooms, etc., even dormitory. The bulk of the model’s energy is spent on maintaining its structure and keeping formal membership high. attractive, complementary and professional activities to offer teens. The bulk of the Complementary Program model’s energy is spent on training volunteers, promoting a brand name, and uniting teens throughout a city or region to larger, unifying formative or apostolic activities like retreats, missions or camps. The model seeks to reproduce a genuine idea that works for youth ministry by “packaging it in box”. The producers of these programs seek to offer manuals, resources, ideas, training, etc., so as to make the youth minister’s job easier, more professional, and effective. This is the most popular model for youth ministry in the United States. Lifeteen is very popular and well known for its middle school and high school resources that it offers to youth ministers, especially for confirmation preparation. There are also are whole gamut of CCD programs out there that parishes implement. Challenge, Pure Fashion, Conquest, and others, are gender specific programs that offer adult volunteers resources to form their children. Boys and Girls Scouts and Knights of Columbus Squires are other examples. These programs meet weekly for several months, but there are also programs that offer resources for weekend retreats. Some of these are Awakening, Search Retreats, Kairos Retreats, etc. adult volunteers are motivated and trained to run the program well. This is the truly “grassroots” model. It focuses its energy on two main aspects: helping individuals seek and find their calling in life through spiritual direction, and also training small groups of natural friends to share the Gospel amongst themselves and do apostolate within their parishes or larger community. Occasionally these individuals and small groups littered throughout a region are convoked to larger events that create a sense of belonging and family. In fact, this model seeks to emulate the same lifestyle of the very first Christians we read about in the Acts of the Apostles, a “core Christianity” centered on the basic Christian message (the kerygma), fellowship, breaking of bread, and prayer. Some examples of this model are evangelization circles, Bible study groups, faith and action circles, and Alpha. Although the small groups can use manuals in their small group “encounters”, and hence this model may appear to be much like the Complementary Model, the difference is that these groups are not tied to any particular program or manual. They are only tied to each other and their personal commitment to follow Jesus Christ. So each “team” will find different means to do so. Lastly, although Alpha is an international program for adults, I’ve included it here because it is setup to run like a Community of Disciples and it also has a section for teens and young adults. there is a clear and attractive identity, purpose and method that binds all the groups together. The institutional model is all about forming young people by establishing a community around a school, radio station, or other institution. For the most part, however, this model deals with educational institutions: infant schools, primary and middle schools, high schools, universities, boarding schools and other special schools. The model focuses its energy on maintaining the institution healthy and successful so as to create a pool of young people (and families) to evangelize. The model has a lot of similarities with the substitution model. There are many examples of this model. The Catholic Church in the United States is already very familiar with private Catholic schools and universities. Oak International offers students from Spanish speaking countries a chance to study abroad, learn English, and receive an integral Catholic formation. Establishing a school or university has been a cornerstone of the youth work of congregations and dioceses in the United States. the institution is combined effectively with another model that will direct young people and parents towards a greater commitment to Christ. Many congregations in the United States decide to avoid the financial and administrative hassles of building and maintaining an institution. Instead, they opt to fill in vacancies in schools and parishes that belong to the diocese or other organizations. Members of a congregation will act as a “permanent substitute” filling roles such as parish priest, associate priest, chaplain, youth minister, director of religious education, teacher, etc. The model focuses its energy on fulfilling very well an established parish or school role and making a large number of new contacts. The model has a lot of similarities with the institutional model. So what makes it different is that it is an avenue to establish youth work and promote vocations from the perspective of a religious congregation. The clearest examples of this model in the United States is that of religious priests to act as chaplains of schools or to take up parishes, especially if the diocese is unable to offer its own priests due to a priest shortage. Also, in an age of less and less people in religious life, it is much easier for men and women religious to be hired to run programs such as CCD, youth ministry, and other parish ministries. It is also possible to run this model on a “part time” basis, in which a priest or other consecrated will dedicate a substantial portion of his or her time to work in one, or more, diocesan institutions. the personnel hired combine effectively with another model that will direct young people and parents towards a greater commitment to Christ. The Herald model is all about distributing a specific service in a unique way to as many as possible, just like Jesus and His disciples proclaimed the message of the Kingdom in every town and synagogue they entered. In the early Church, there were itinerant preachers named “prophets” that would travel from church to church preaching a specific message. Though this model is similar to the Complementary Model because a unique service is “multiplied”, the difference is that this model not about a program, but a leadership team. The leadership team is a group of young adults, who are highly trained and coordinated by a core staff of adults in ministry, consecrated and priests. The same concept applies to a nationally renowned speaker that travels the country giving the same series of presentations; this is a specific “service” offered in a unique way to as many parishes, schools, conventions, etc., as possible! This model is growing all over the United States right now. Because of the thousands upon thousands of parishes and schools in the country, the model has plenty of room for growth. This model is exploding as we speak throughout the country! 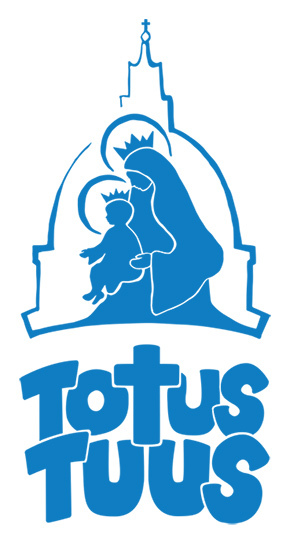 The four groups named FOCUS, Spiritus, RC Mission Corps, and NET, all train a group of young adults that offer a year or two of their life to serve and evangelize at schools and parishes through talks, retreats and personal formation. Totus Tuus and ECYD Mission Corps are the same type of program applied to summertime activities like summer camps. Christopher West and Jason Evert are great examples of speakers that travel the country presenting the Theology of the Body to audiences packed with hundreds of teens. Ignitum and MUSICinsideU are both websites that seek to speak directly to teens. They offer young people ideas and reflections in the form of a blog or commentaries, so they serve as a kind of “herald” via the internet. it combines effectively with another model so as to direct young people towards a greater commitment to Christ. This model is quite different from all the other ones because it reaches out to youth indirectly. This means the model emphasizes research & development in the area of adolescence and youth ministry so as to train and accompany adults working in youth ministry, religious education, teaching, young adult leaders, mentoring, etc.. Many of these programs satisfy requirements by national conferences of bishops, such as the document Renewing the Vision by the US Bishops. Many of these programs also offer sessions for busy people in the evening, online studies, and range from a few weeks to a few years depending on the title earned. The model may also appear as an organization that links youth mentors together and offers them resources. Quite often these organizations will use the internet as the main means to connect people with their resources. The “Escuela de Acompanamiento” is based out of the University of Francisco Vitoria in Madrid. Its purpose is to develop youth ministry pedagogy and then train adult mentors to work in a wide range of youth ministries. The University of Dallas, Fordham University, and other universities, have theology degree programs in youth ministry. Many dioceses will have similar degree or training programs to offer to youth workers in parishes. NFCYM is a national federation of Catholic youth ministry dedicated to supporting Catholic youth ministry on the national, diocesan and local level by providing leadership, resources, conferences, supporting youth ministry leaders, dialoguing with the US bishops, etc.. This model also has a presence in the internet. Project YM is a relatively new website dedicated to connecting youth workers and sharing ideas and resources via the internet. My own youth ministry blog is Youth2Change, and I post a monthly article on a new idea born from my experience in youth ministry, along with instructions, tips and downloadable resources. Like these two websites, there are tons of others. It’s only a matter of typing “youth ministry resources” in Google and so on. it takes advantage of its contacts with youth ministry leaders to promote another model that leads young people towards a greater commitment to Christ. That’s it for this article! Click here for Part 3 to read about other aspects of “model theory”. I include some tips on application. If you liked this article, please share it with someone! Thank you!